When HBO announced that they would be premiering the seventh episode of Game of Thrones‘ first season on HBO Go immediately following the conclusion of episode six, I was more fascinated than excited. I think HBO Go is a really interesting initiative that has the potential to play an important role in the future of the channel’s programming. Not only does it offer a new platform in which users can legally access the network’s database almost in its entirety, but it also creates new potential for special features being integrated into the weekly viewing process, and makes the network’s content more readily mobile. When I talked with my cable company to subscribe to HBO earlier today (after having relied solely on screeners to this point), the friendly customer service representative had a whole spiel about HBO Go ready to go, and was clearly using it as a pitch to draw in potential subscribers. Premiering an episode early is a great way to make users more aware of the service, especially when dealing with the Game of Thrones fanbase who might not normally be HBO subscribers (and who might have only signed up this week, having relied on nefarious methods to this point in the series’ run); if they go to the site to watch episode seven early, they might also check out the pilot for True Blood, and might get hooked enough that they maintain their HBO subscriptions following the Game of Thrones finale. However, there lies a central concern with HBO Go that makes this kind of initiative somewhat problematic: as a result of the nascent state of the site, a number of cable providers have not been able to strike deals with HBO to feature the service, and since it is tied directly into your cable account this means that a large number of people who are paying for HBO subscriptions do not have access to this sneak preview. While there is clear value from a promotional point of view in an initiative like this one, I do wonder if the way in which it divides the series’ fanbase and potentially bifurcates the conversation surrounding the series doesn’t demonstrate the perils of messing around with serialization in this fashion. This week, an assortment of critics and bloggers received what is considered the first part of an ongoing “experience” called the Maester’s Path, a transmedia initiative to support the April 17th debut of HBO’s Game of Thrones. 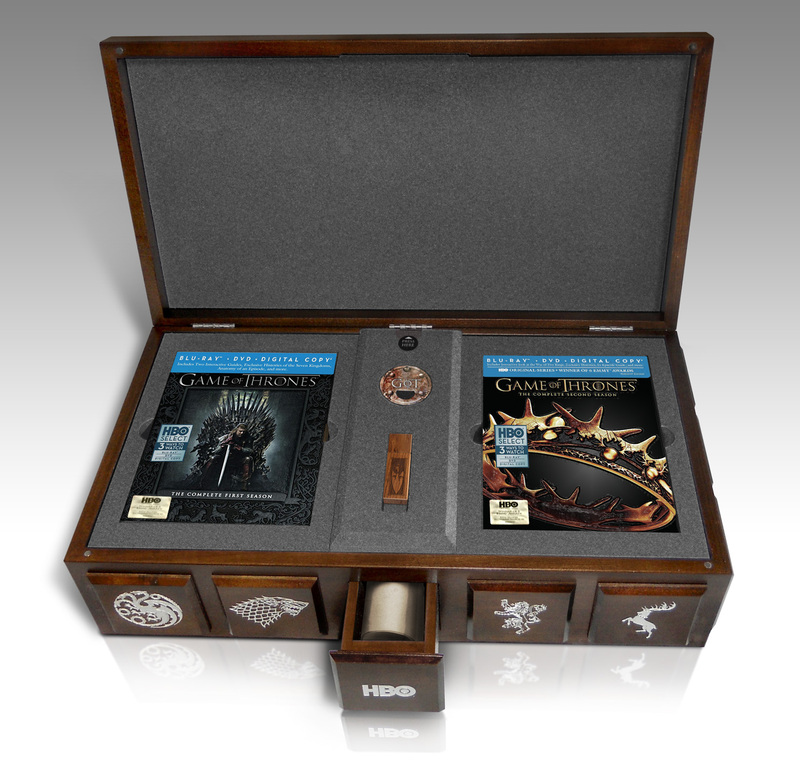 The fairly intricate wooden box features a collection of maps and other scrolls meant to be artifacts of Westeros, as well as a collection of scents that when merged together capture the olfactory essence of different locations. 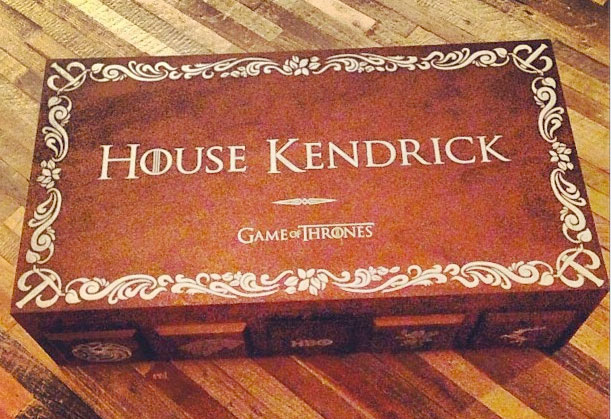 I was lucky enough to receive one of these boxes from HBO, and I spent yesterday morning mixing scents, taking pictures and poring over the scrolls. 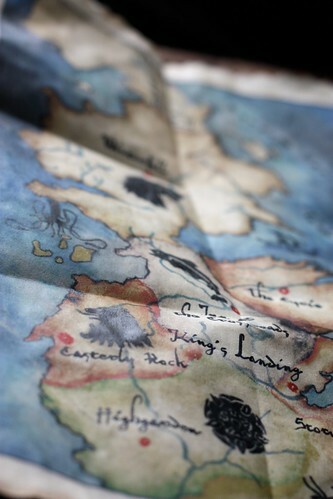 This was, after all, what I was instructed to do by the scrolls within the box, and so I journeyed to King’s Landing (which smells of summer fruit and parchment) and the Dothraki Sea (which smells of campfire and “Khal’s herd,” which smells as you would imagine). The question now becomes at which point these fans will be able to walk the path themselves, rather than living vicariously through a chosen few.